Maco silk satin from pollution-free, super-combed cotton with silk finish. 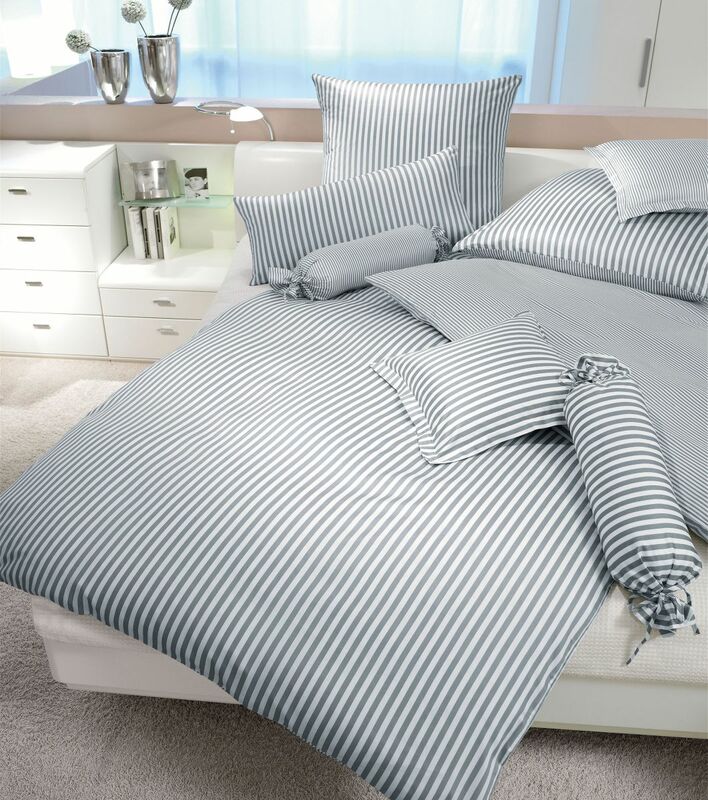 Design of reversible bed linen is made of wide and narrow stripes in silver. The cover is made with longitudinal folds.